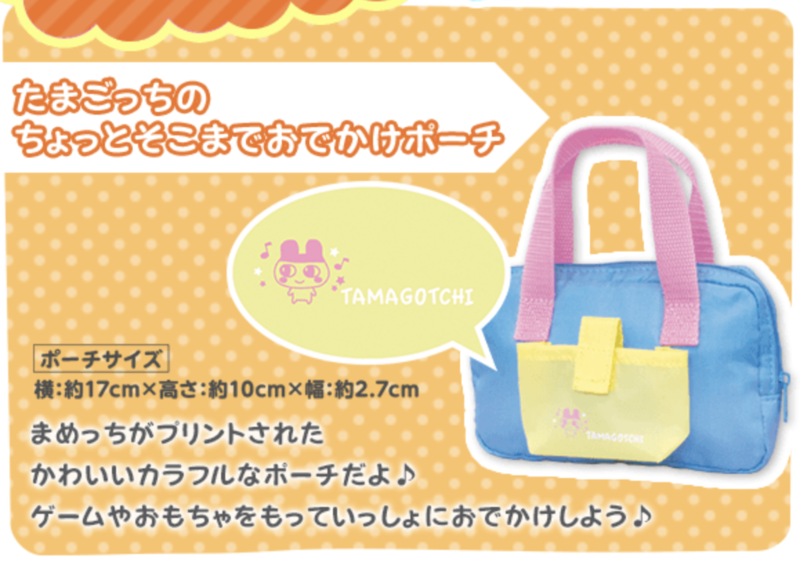 Do you remember those little cute Tamagotchi keychain digital pets? Who could forget the joys of cleaning up their poop and forgetting to feed them? Well, it's their 20th anniversary this year and Bandai Namco is bringing them back on the 3DS in Japan, as revealed by the teaser website. 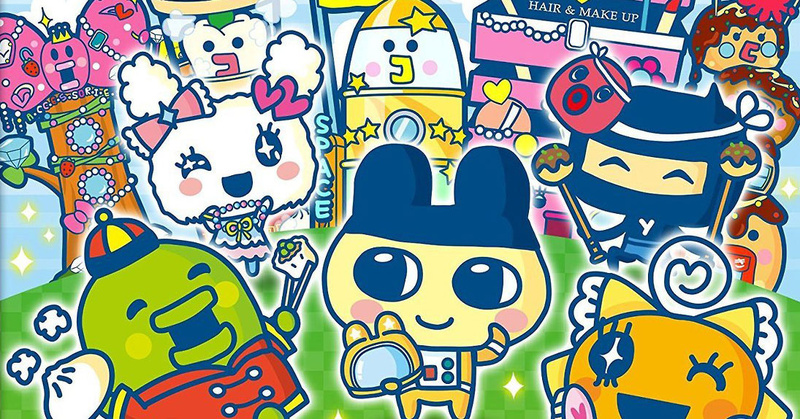 This new Tamagotchi game launches on 16th November, priced at 5724 yen (£39.60 / $51.60). We're sure that it will be a whole heap of fun and we'll keeping our eyes out for news on a Western release. With this light blue holdall with it's fetching pink handles you'll be the talk of the town. A handy yellow pocket can hold your '90s Tamagotchi so you will never forget to feed it the way we did all those many years ago. We are still traumatised by its untimely death. Love those.I don't think it will be localized.. I'm still surprised that with all technology phones and the (3ds) have, Tomagotchi games haven't been the rage for all of the last 10 years at least. Keeping a Tomagotchi alive via location based data would have had me walking all over town for 'special food's and whatnot. I still have one on my phone. It's a version of the classic digimon pet, which was how it all actually started for that franchise. It even allows you to battle online and there's about 300 digimon available. Well, that's no good, no thanks to the 3DS's region lock. I wish this were coming to Switch instead. English or no English, I would have bought this otherwise. It says "genre; shop play"
Wow. Well isn't this a blast from the past. I think my Tamagotchi lasted a week, poo everywhere...they were banned in my school anyway. Games like nintendogs or tomodachi life never really appealed to me and this would be one of them. Of course I understand that not everyone can have pets and a nintendogs game might be a viable alternative to real pet. To each their own. There's very little chance that this will be localized, but I want this soooooo badly! Create it, name it, punish it, starve it, kill it, repeat. I remember when the internet was young it was often repeated that Pikachu was originally a Tamagotchi and that's how Pokemon started. I'm mildly interested in a localized version but skeptical there will be one in the first place. Not sure how prolific Tamagotchi is in the West right now. Three of these games were localized for DS so you might think this new one would likely see a Western release, however, that was a different time.